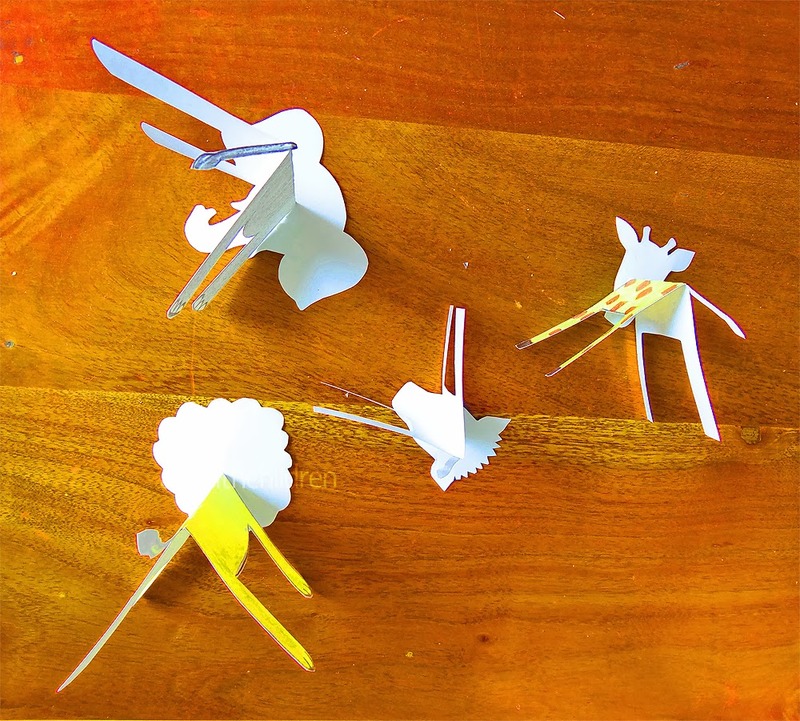 We made these exciting paper animals as we were reading animal stories during our winter holidays. 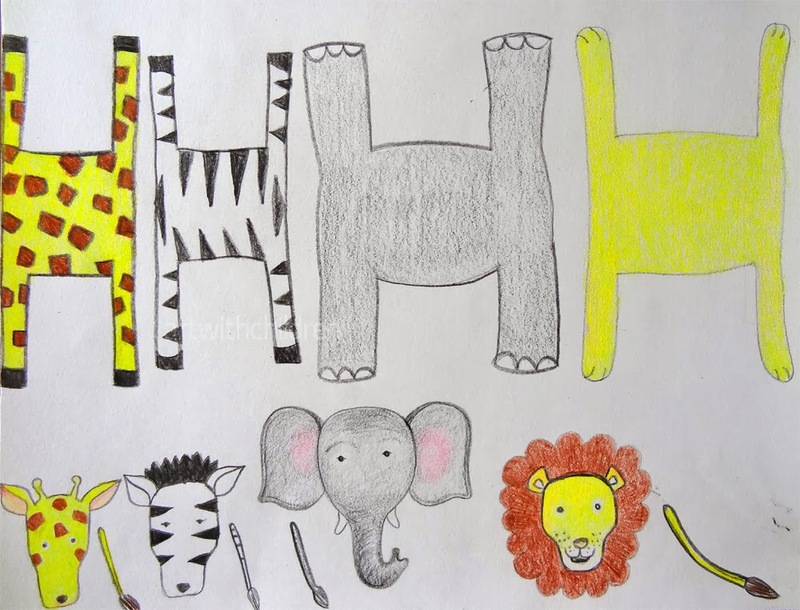 We drew animal faces/heads, bodies and tails on a sheet of paper. We used colored pencils for filling in colors and patterns. After cutting them out we folded the body in half so that it can be placed upright or in a standing position. We then glued the head and tail in place. 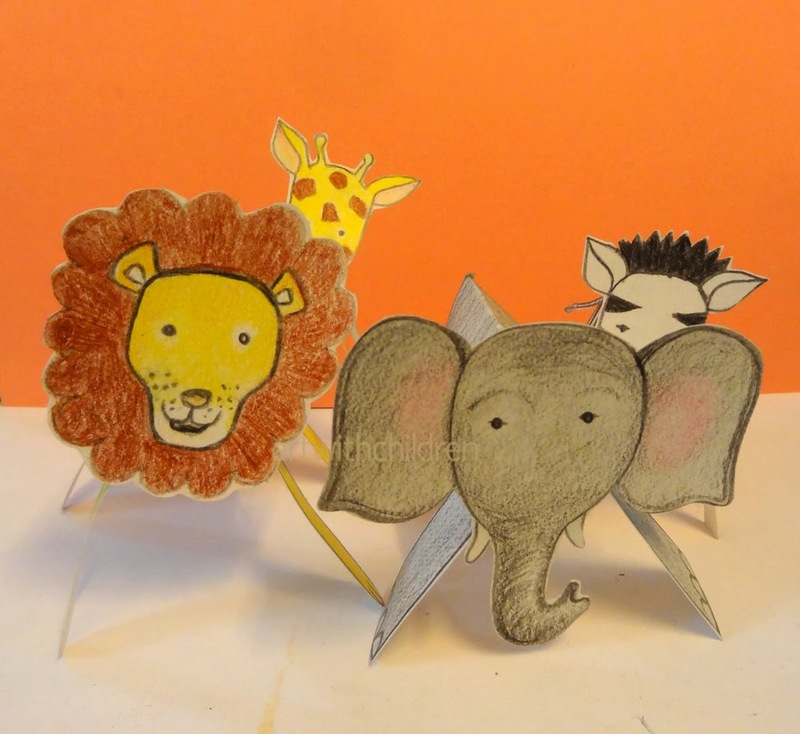 The children enjoyed making more animals like bears, rabbits and hippos. 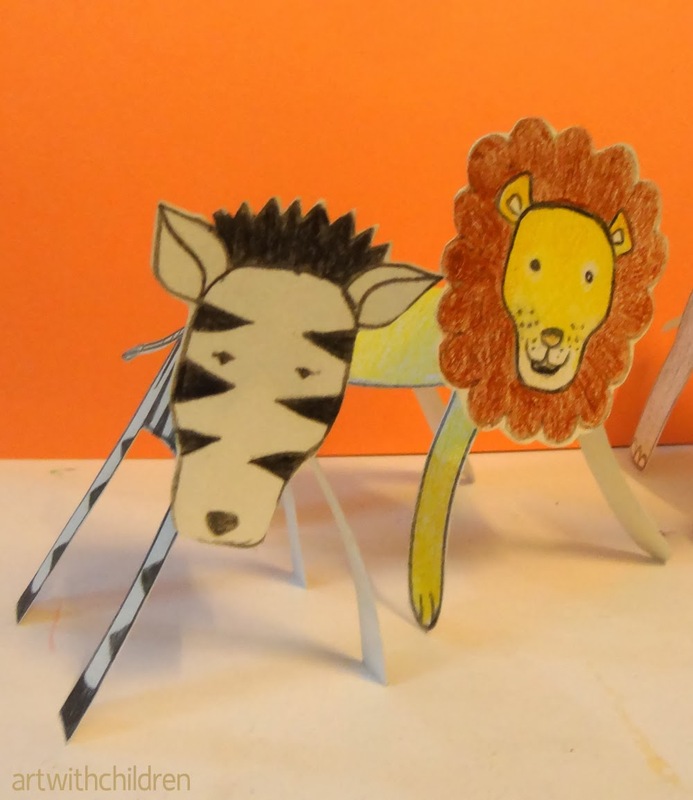 Some of them decided to make a zoo out of cardboard boxes to place their animals. 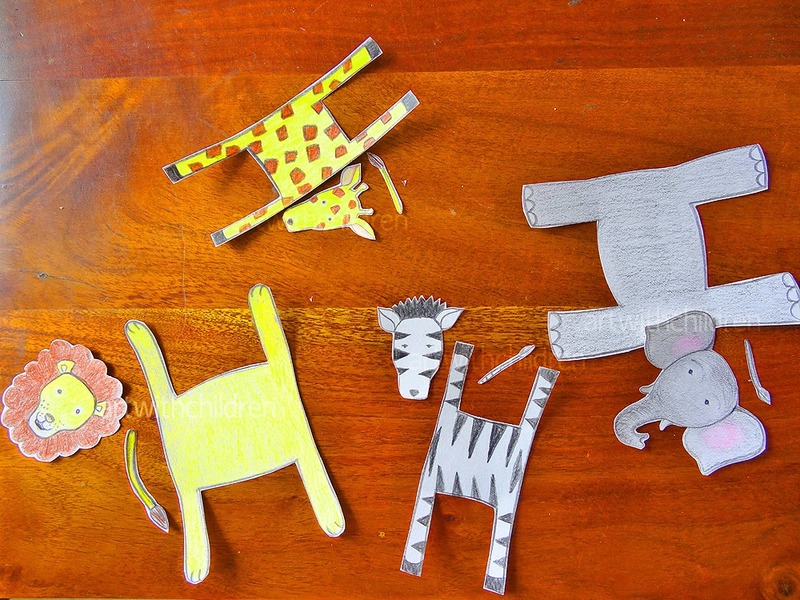 Have fun making these easy foldable animals. 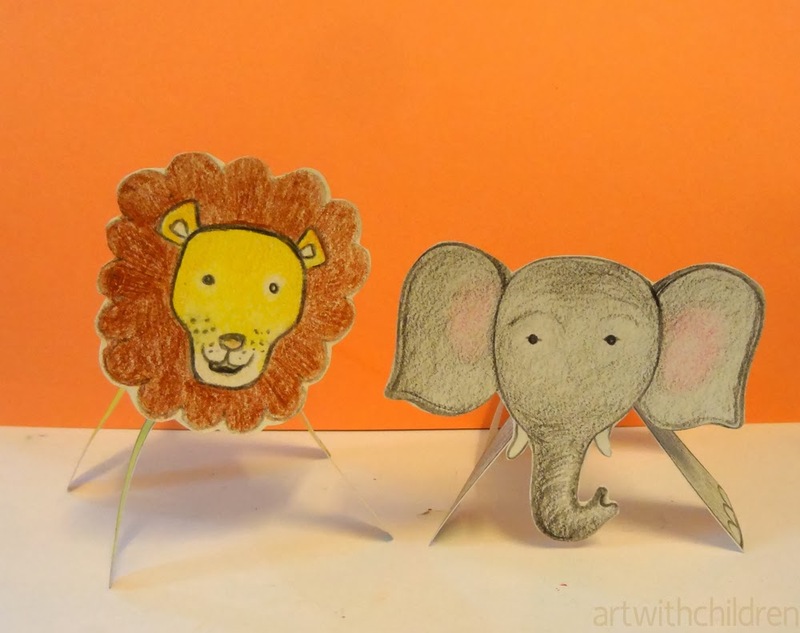 We did not think of looking for templates before we started with this activity. I'll try to create some and post them here.